The parish was in the Bourne sub-district of the Bourne Registration District. 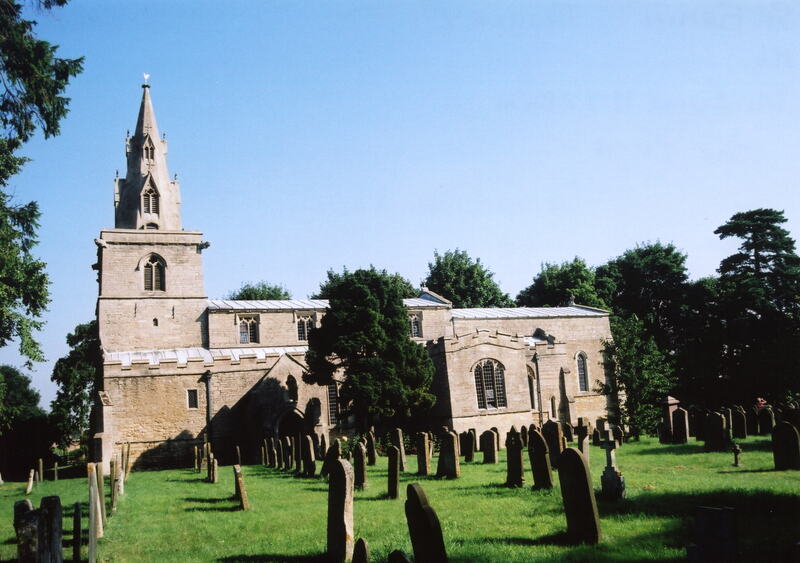 You can also perform a more selective search for churches in the Thurlby area or see them printed on a map. The Anglican parish church is dedicated to Saint Firmin. Some sources give the spelling as St. Fermin. Many parts of the building are of Norman origin. The church was restored in 1856. The church was extensively repaired in 1929. There is a photograph of St. Firmin's Church on the Wendy PARKINSON Church Photos web site. Parish registers exist from 1575 (one source gives 1560). Scott ARROL provides us with a list of Early Thurlby Marriages in a Portable Document File format (You'll need Adobe Reader for this). You may wish to purchase some of the Aveland and Ness Deanery marriage indexes. The Wesleyan Methodists had a chapel here, built in 1832 and replaced in 1912. The United (Free) Methodists also had a chapel built in 1861. Tim HEATON has a photograph of the original Free Methodist chapel on Geo-graph, taken in 2009. The Particular Baptists had a small chapel built in 1834. Thurlby is both a village and parish about a mile south of Bourne. Witham on the Hill parish lies to the west and the River Glen forms part of the south-eastern boundary. The area is about 4,000 acres of flat fenland, drained by many small canals. The A15 trunk road runs through the east end of the village itself. Mat FASCIONE has a photograph of the busstop on the green on Geo-graph, takeen in April, 2014. Ask for a calculation of the distance from Thurlby to another place. You can see the administrative areas in which Thurlby has been placed at times in the past. Select one to see a link to a map of that particular area. The "Carr Dyke," a canal of Roman origin, runs just a few yards west of the church. The Dyke extends for 56 miles from Peterborough to Lincoln. Richard CROFT has a picture of a portion of the Car Dyke on Geo-graph, taken in 2007. According to White's 1842 Directory of Lincolnshire. races used to be held here on the nearest Monday to Old Michaelmast Day. The directory doesn't tell us what kind of races these were. The parish was known for its fine oak trees. In the 1800s bricks were made here. 1882 Eliz. Ann SMITH, vict. The name Thurlby is from the Old Scandinavian Thorulfr+by, or "Farmstead of Thorulfr". In the 1086 Domesday Book, the village is given as Turoluesbi. The parish was in the ancient Ness Wapentake in the South Kesteven district and parts of Kesteven. You may contact the local Parish Council about civic or political issues, but they are NOT staffed to answer family history questions. In 1769, Ann FISHER left the interest on £100 for the benefit of the poor. It was generally given as bread at Christmas. As a result of the 1834 Poor law Amendment Act, the parish became part of the Bourne Poor Law Union. Bastardy cases were heard in the Bourne petty session hearings on Mondays. A Public Elementary School was built here in 1853, replaced in 1877 and enlarged in 1898 to hold up to 150 children. A School Board was formed in 1875.